Wyse Technology has announced a new thin client: the Wyse T10 running Wyse zero framework (aka ThinOS), powered by Marvell ARMADA 510 SoC (ARM v7 core) and supporting virtualization solutions by Citrix, VMWare, Marvell, Microsoft and Quest Software. This is the second device based on Marvell 510 SoC after the Wyse T50 announced last year running Wyse enhanced Ubuntu Linux. The company claims the Wyse T10 is the first platform in the industry to include Wyse optimized versions of the Citrix Receiver and Microsoft Remote Desktop Protocol (RDP) 7.1 technologies, leveraging 2D hardware acceleration capabilities of Marvell ARMADA 510 SoC. This optimized 2D graphics remoting stack enables high-end features such as HD video, dual monitor connectivity and L-shaped desktop support, features that are usually only supported by more powerful Intel/AMD x86 clients. Thanks to Wyse zero framework, the Wyse T10 can provide a secure, ‘instant on’ experience for end users—booting up and logging into a virtual desktop in less than 10 seconds, says the company. Security is also enhanced as there is no exposed API and the device support Full AES-128 bit encryption for network certificates. This removes client security concerns and IT administrators can mainly focus on server security. Wyse tried to simplify the management of clients with features such as remote software and configuration updates via central file servers and for larger deployments Wyse Device Manager (WDM) software suite can scale up to a large number of devices (> 10,000). 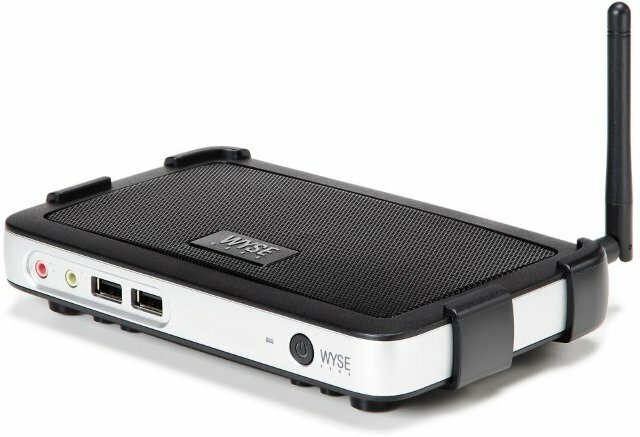 The Wyse T10 is available now for about 300 Euro (400 USD) according to PC World. You can find more information on Wyse T10 page. The Wyse T10 is currently demonstrated at CeBIT 2012 in the BITKOM pavilion, hall 4, Wyse booth A04, until March 10th 2012 in Hanover, Germany.